If you want to be a miserable, frustrated, or disillusioned as a teacher, there’s one book that you definitely don’t want to read – and that’s Angela Watson’s book Awakened. The book is subtitled Change Your Mindset to Transform Your Teaching, and the truths this book discusses are absolutely transformational. The basic premise of the book is that your thoughts determine your feelings and that if you take control of your thoughts, you can gradually learn to control your feelings. Thus, you don’t have to feel defeated, angry, and frustrated all the time. Instead, you can teach yourself how to have the right attitudes that will leave you feeling happier and more fulfilled as a teacher. Throughout the book, Angela is extremely transparent, sharing her own journey and how she overcame her own negative thinking patterns and established positive ones. Now if you’re starting to think this book is all about theory and not very practical, that can’t be further from the truth. In every chapter, Angela walks you through exactly how you can apply the right thought practices to various areas of teaching. She uses fantastic examples that we can all relate to as teachers and makes it absolutely practical and easy to understand and implement. The idea that we can control our feelings instead of letting our feelings control us is not one that we hear very much today in our culture, but it is absolutely one we need to think about more. I’ve seen in my own life that when I am thinking selfishly or unbiblically about a topic, my feelings (and often even my actions), that’s when I start feeling depressed, frustrated, or annoyed. But when I realign my thoughts with the truths of Scripture, the situation falls into the proper perspective and my feelings are calmed and more centered. While Angela does not often specifically quote Scripture often in the book (she wanted the book to be helpful for both Christians and non-Christians), the truths of Scripture are evident throughout. And I really can’t think of a more practical book to help you learn how to redirect your thoughts into thinking Biblically. In addition, Angela has created an accompanying devotional guide for the book called The Awakened Devotional Guide for Christian Educators. I haven’t gotten a chance to read this yet, but if it’s half as good as Awakened (and I’m guessing it’s actually twice as good), then it’s fantastic. 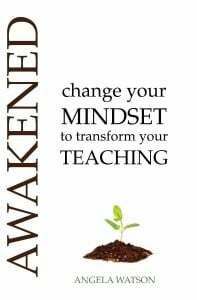 So if you ever find yourself frustrated or feeling like you can’t handle the stress of teaching, you absolutely need to get a copy of Awakened. In fact, it’s not even just for teachers. Even though all the examples are about teaching, the truths would benefit anyone in any situation. In fact, I want to go back and read through the book more carefully to apply it to the challenges I’m facing right now as a stay-at-home mom of 2. So don’t wait. Grab your copy now. 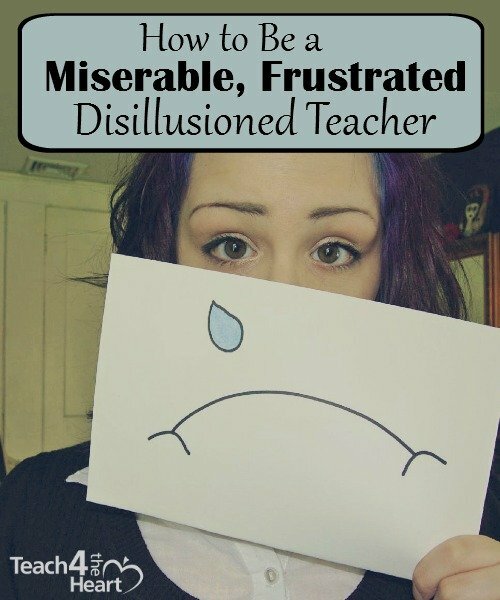 Do you struggle with feeling frustrated or disillusioned as a teacher? Share your experience and thoughts with a comment below. Disclaimer: I received a free ebook version of Awakened in exchange for this review. The links in this post are also affiliate links, which means I receive a small commission if you purchase the book through the link. But I am only reviewing and recommending this book because I truly believe it is absolutely fantastic! I have read Angela’s other book, The Cornerstone for Teachers, and it was great! I would love to have the chance to read this one as well. I am really working this year to have a transformed mind in reference to my kids at school. I have found that when I change the way I think about them and actually enjoy my kids, they are more responsive to me and learn more! I am really interested in this book! As a second year teacher, your site helped me beyond measure last year when I was ready to pull my hair out. This book seems like it too would be a great addition to my toolbox. I’m so glad it was helpful! And, yes, this is a great book! What was your biggest challenge last year? I struggled last year with negative thoughts getting in the way of truth and how I saw myself and how I thought others were viewing me. Sounds like it would be great to work through as I want to be a Positive Polly and not a Negative Nelly! Thanks for the chance to win! !